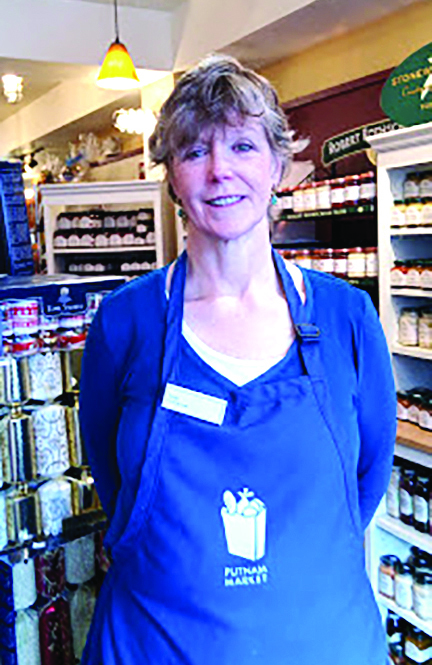 Cathy Hamilton is the owner of Putnam Market in Saratoga Springs. Between the parties, shopping, wrapping, and all the other endless activities that fill up the holiday season, preparing a meal, whether for just your family or a gathering, can be a daunting task. Some people leave it to the professionals who cater holiday meals. Restaurants in and around Saratoga have many options to meet people’s holiday needs. Restaurant owners recommended planning ahead as much as possible, especially when hosting an event. Cathy Hamilton of Putnam Market in Saratoga Springs, said they ask for three days’ notice for most catering, although there are a few things they can do in a last-minute scenario. “Our catering menu has platters for groups both small and large. Often our customers have family favorites and use us to fill in the other sides, from shrimp platters to cheese platters. All of our food is made from scratch here in the store, so it tastes like homemade. It is also designed to be easy to heat, serve and eat,” said Hamilton. 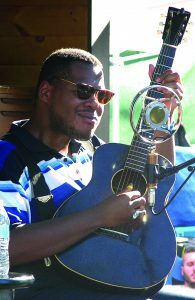 SPAC holiday promotion sales include tickets to Freihofer’s Saratoga Jazz Festival. Saratoga Performing Arts Center is again offering its popular Holiday Collection—customizable gifts for classical music lovers, jazz fans and aspiring ballerinas, alike. The 2018 Holiday Collection includes the Trustco Bank Classical Season Flex Pass, which features a lawn seat for all performances of New York City Ballet and the Philadelphia Orchestra and the opportunity to upgrade to the best available amphitheater seat for $5 for any performance, up to five times ($165 through Dec. 31); gift certificates, which can be redeemed for tickets to any SPAC performance, Live Nation show or the Saratoga Wine & Food Festival; the flex ticket option for the Freihofer’s Saratoga Jazz Festival ($56 through Dec. 31); holiday gift subscriptions to Chamber Music Society of Lincoln Center at SPAC and SPAC memberships. For those who prefer to purchase tickets in person, SPAC will open the Hall of Springs Box Office (108 Avenue of the Pines) on Saturday, Dec. 15. from 10 a.m. to 2 p.m. The regular Holiday Collection discount will apply with a one-day-only discount for purchases of the Trustco Bank Classical Season Flex Pass (available for $150, in person only) and no processing fees or facility fees. Audiences can also enjoy hot chocolate and holiday cheer while making their purchase. The Trustco Bank Classical Season Flex Pass includes lawn admission to all 2019 performances by New York City Ballet, July 16 – 20 (excluding the New York City Ballet gala) and the Philadelphia Orchestra, July 31 to Aug. 17. Works of art like this, called The Offering,will be available at the annual Holiday Art Fair. The Holiday Art Fair at the National Museum of Dance is an art-ful way to shop for the coming gift-giving season. The fair takes place from 10 a.m. to 5 p.m. Saturday, Nov. 10, and 10 a.m. to 4 p.m. Sunday, Nov. 11, at the museum in the historic Saratoga Spa State Park, 99 South Broadway, Saratoga Springs. 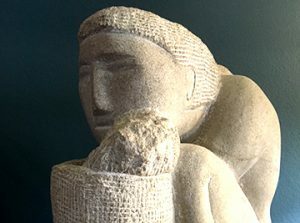 The annual Holiday Art Fair is a juried fine arts and fine crafts fair of visual and performing arts. The show is staged throughout the Dance museum’s galleries and foyer. Organizers said many of the artists featured are new to the show and some are favorites back from the summer Art Celebration. “It is a great way to spend a fall weekend enjoying a beautiful art fair” says event director Sue Brown Gordon. People will be coming out in droves soon to do their holiday shopping on Broadway in downtown Saratoga Springs and adjoining streets. Anyone looking to capture the Holiday spirit in a more intimate and authentic way, far from overcrowded malls and parking lots, can head to shops in downtown Saratoga. From gourmet teas to spiced oils, to pet gifts to live music that promises to create a meaningful shopping experience, local businesses have it covered. Many small businesses focus on getting people to check them out on Black Friday, Nov. 23, and Small Business Saturday, Nov. 24. Andrew Mitchell, store manager at Saratoga Olive Oil Co., 484 Broadway, said they will be stocked with olive oil and balsamic vinegar gift baskets, sampler boxes and locally crafted wooden box sets and gift boxes, handmade ceramic cruets and dip dishes. “Guests can come in and shop or ship out holiday gifts right from our website, “ said Mitchell. He said they will be offering discounts on Black Friday ranging from 10 to 30 percent off, as well as having $5 stocking stuffers. Small Business Saturday will also offer discounts throughout the day. Allie DeStefanis, store manager at Saratoga Tea & Honey, 348 Broadway, said this time of year, they have mini honey jars with wooden dipper available for $9, and they are only available for the holidays. 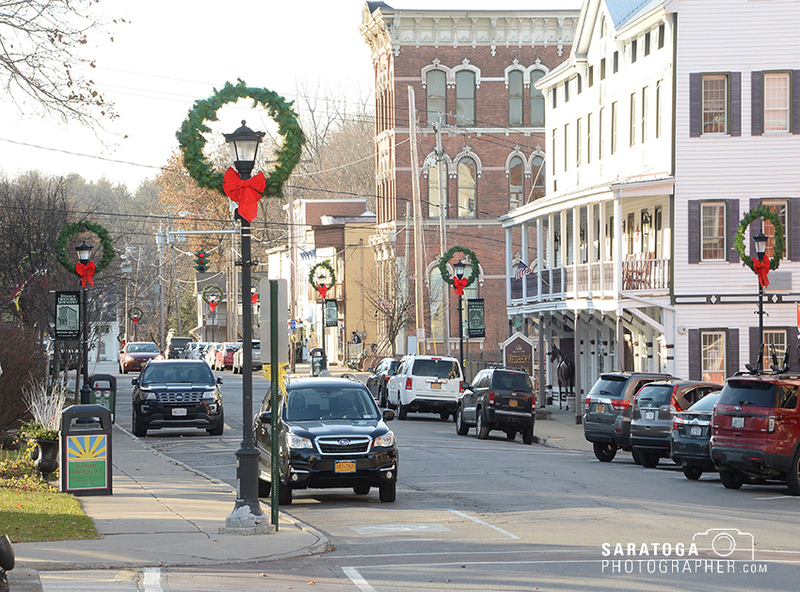 Downtown Ballston Spa is decorated to welcome shoppers for the holidays. There are many shops in the downtown area where people can find out-of-the-ordinary gift options. It’s that time of year again. Amidst all the joy and happiness that comes with the holiday season, it’s also a hectic time for many people. Finding the perfect gift for everyone can be stressful. Big chain stores offer a seemingly endless selection of pre-packaged gift sets and generic knickknacks. For those seeking a more personal touch, however, these gifts may fall short. Fortunately, Saratoga County is home to an array of local businesses selling items that make for a personalized gift-giving experience. Ballston Spa is home to many of those kinds of shops. Those shopping for antique lovers have a few options in the area. Tkal’s wares are also displayed on an online gallery, at twoifbyseagallery.com, and on his Etsy shop by the same name. In time for the holiday season, Saratoga Performing Arts Center is offering customizable gifts for music lovers through Dec. 31. The 2017 holiday collection includes the ultimate classical season pass, which features a lawn seat for all performances of the New York City Ballet and the Philadelphia Orchestra and the opportunity to upgrade to the best available amphitheater seat for $5 for any performance, up to five times ($165 through Dec. 31); gift certificates that can be redeemed for tickets to any SPAC performance, Live Nation show or the Saratoga Wine & Food Festival; the flex ticket option for the Freihofer’s Saratoga Jazz Festival ($56 through Dec. 31); and holiday gift subscriptions to Chamber Music Society of Lincoln Center at SPAC and Opera Saratoga. “The ultimate classical season pass is the best kept ‘SPAC insider’ secret. What’s well known about these lawn passes is that they offer the opportunity to experience SPAC’s world-class programming for the entire classical season at an average ticket price of just $7 per performance, less than a movie ticket,” said Elizabeth Sobol, CEO of SPAC.